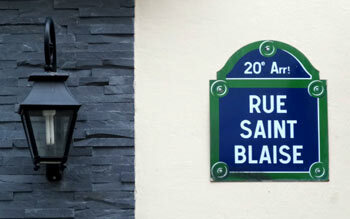 Rue Saint-Blaise, at the heart of the ancient village of Charonne, is a haven of beauty with an unusual atmosphere in this neighbourhood that was until 1860, date of the annexation by Paris, a rural village in the outskirts of the city. 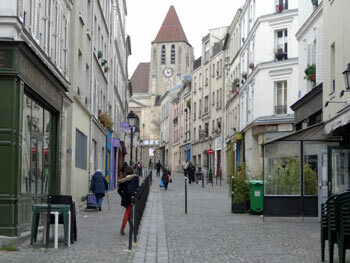 Before that, the village of Charonne was made up of houses owned by (rich) Parisian longing for pure air. From 1960, big construction works disrupted the landscape, and buildings replaced the dilapidated and unhealthy houses. 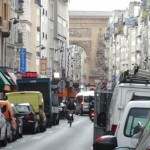 Fortunately, the part of the street that was not destroyed become protected zone, and rue Saint-blaise is nowadays the last witness of rural Paris of the 19th century, with rue Berton in the 16th arrondissement. 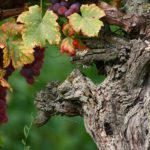 It is when you are getting to the number 38 (at the level of Place des Grès) that you will understand the only charm of the place, appearing suddenly as an unspoiled, but precarious, setting. First notice the beautiful viewpoint of the street and the church. 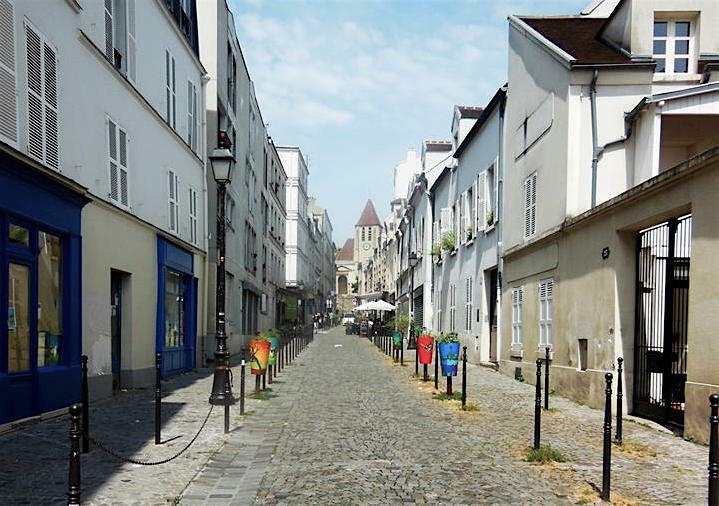 The cobblestones and the shop windows accentuate the unusual atmosphere of rue Saint-Blaise, that looks like a provincial street rather a road of the 20th arrondissement of Paris. 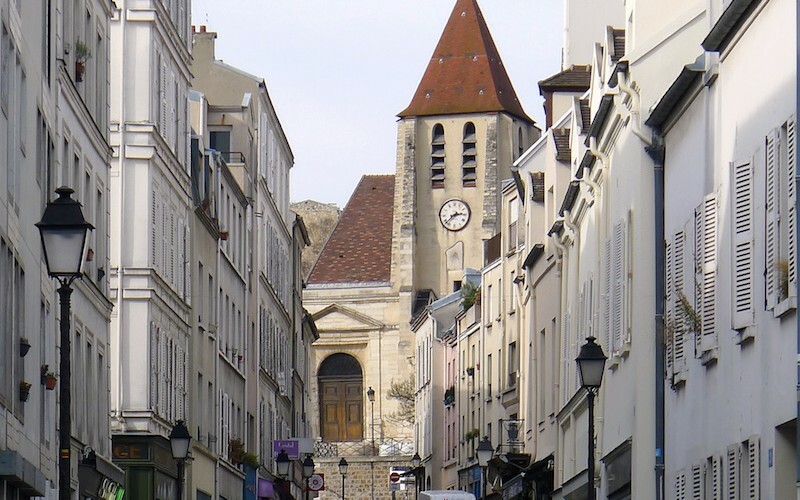 To finish your exploration of the district, go to the Saint-Germain-de-Charonne church, which bell tower dates from the 13th century. 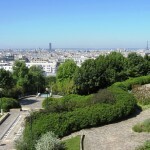 Near by is a parish cemetery, the only one in Paris with the one of Saint-Pierre de Montmartre church. 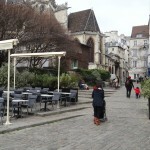 Do not miss either the beautiful Square des Grès, situated rue de Vitruve. 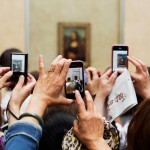 Then go to Porte de Bagnolet to visit another amazing sight : la Campagne à Paris. 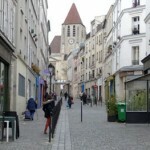 Stroll Belleville and Ménilmontant neighborhoods. 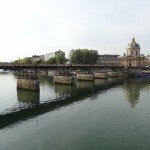 Hidden passageways, history and best places to discover. 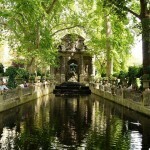 In Luxembourg Gardens, maybe the most romantic place in Paris. 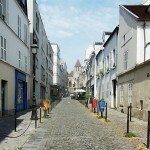 Hidden alleys and dead-ends of one of the oldest street of Paris. 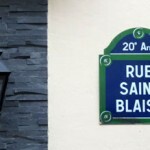 Focus on rue du Faubourg Saint-Denis, a reflection of present-day Paris.